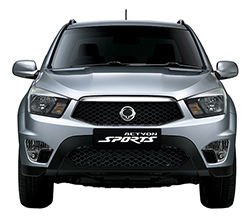 The SsangYong Actyon WorkMate is a remarkably capable and rugged ute. Whether you’re doing intense work or heading out for a true adventure, the Actyon WorkMate is sure to be your best automotive mate. One look at this ute and you can see that it means business, with its powerful design and durable 16-inch steel alloy wheels. The integrated fog lamps mean that you’ll be able to see well in all kinds of weather, while the tray liner and tie down points make it easy to haul cargo wherever you need to go while keeping the Actyon WorkMate looking great. Front and rear mud flaps are available, making it easy to protect the paint job even on off-road drives. Speaking of going off-road: the 188 mm front clearance and 212 mm rear clearance let the Actyon WorkMate clear all kinds of debris with ease. 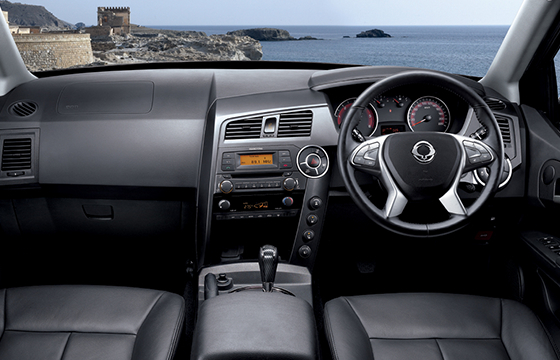 Different driving needs require different engines, and the SsangYong Actyon WorkMate offers two. The 2.3-litre petrol engine generates 110 kilowatts of power and up to 214 newton metres of torque--plenty of power for all kinds of needs. If you need even more strength, you’ll love the available 2.0-litre diesel engine, which also comes with available part-time four-wheel drive. 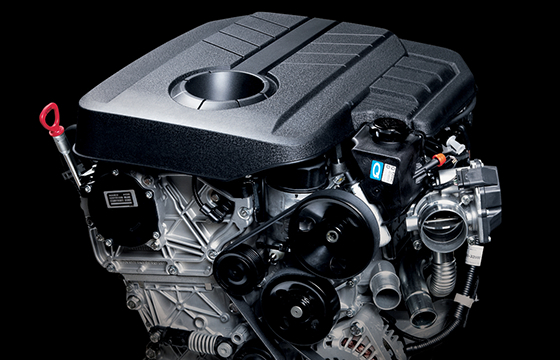 This engine generates 114 kilowatts and 360 newton metres of torque! Choose between a manual 5-speed transmission, a manual 6-speed transmission, and an automatic 5-speed transmission for your desired level of control. Need to haul something big? When properly equipped, the Actyon WorkMate can tow up to 2,500 kilograms. 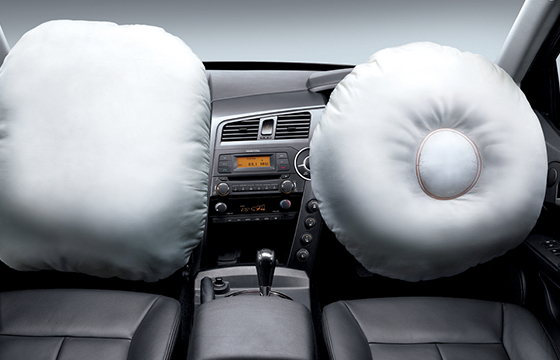 Capable vehicles like the SsangYong Actyon WorkMate require capable safety features. The Actyon WorkMate is a powerfully-built ute, and it comes with loads of other safety features to make sure you and your passengers have what they need. The collapsible steering column, door impact beams, and driver and passenger airbags keep you shielded from the worst of an impact. However, it makes sense to avoid collisions in the first place. The Actyon WorkMate comes with an electronic stability programme with emergency brake force distribution and anti-lock brakes, which all help you avoid dangerous situations that can lead to accidents. It even comes with hill start assist, so you can tackle steeper inclines without worry. 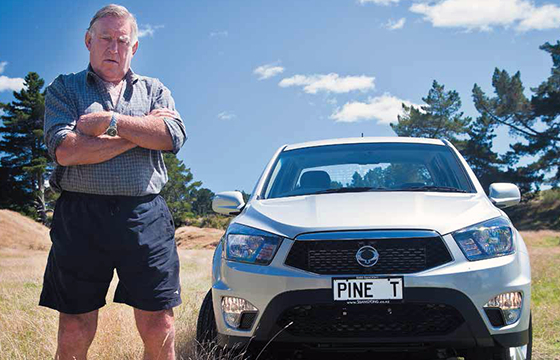 The Actyon WorkMate may be a rugged ute, but that doesn’t mean it’s uncomfortable. Quite the opposite: you’ll find that the woven cloth or leatherette seat trim is remarkably comfortable, with plenty of room to stretch out. The rear seat features a center armrest, and it can also be folded down to create more cargo space. Need to stay cool on a hot day? The air conditioning is easy and convenient, making the interior of the Actyon WorkMate that much more enjoyable. Whether it’s for keeping you comfortable or keeping the vehicle secure, the technology aboard the Actyon WorkMate is truly capable. 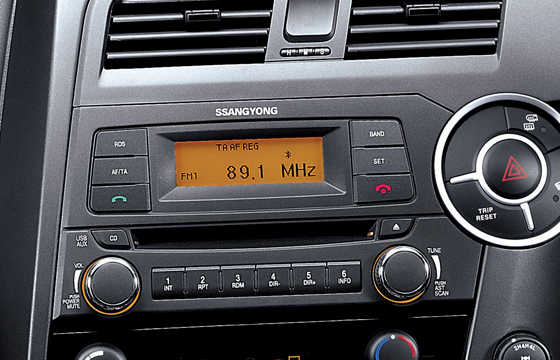 The CD player and MP3 with audio aux connections make it easy to listen to your favorite music on the drive. What’s more, the audio controls are mounted on the steering wheel, so you can switch stations or tracks without even having to take your eye off the roads. For security, the engine immobiliser and alarm help make sure nobody enters your ute who isn’t supposed to. What’s more, remote keyless entry makes it easy for you to get in and out of the Actyon WorkMate. 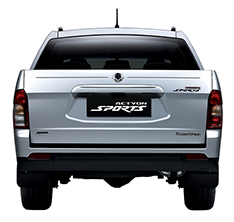 Find the SsangYong SUV or Ute to fit your specific needs at Auckland Central SsangYong! We have the sleek, spacious, and capable models you are looking for, and they come with everything you need to enjoy every adventure. Whether it’s the tough Actyon WorkMate or the capable Korando, Auckland Central SsangYong will help you find the model you’ve had your eye on. Read through the following pages to learn more about each of the exciting models we carry here at Auckland Central SsangYong, then visit us at 460 Great South Road, Greenlane, Auckland 1051. Be sure to call us at 09 522 1066 with any questions!